Members who did not renew (98) or had NRA membership expiring prior to Sept 30, 2019 (5) did not receive a new membership card or have their gate card activated. Paid fees were returned. In 2018 a total 103 members left while 168 new members joined. # 1. Only members and authorized persons are allowed on the property. Trespassers will be prosecuted. # 3. A current membership card must be displayed visibly in plain sight at all times while on the Association property. CANCELED Jan 21st due to weather. The Archery League starts on Jan 7th, 2019 at 7pm and runs for 10 weeks. After the first week everybody will be classed by equipment and scores. We will be shooting a 450 round at either a single spot target or 3 spot - your choice. The last Tuesday in December falls on Christmas Day, so the December General Membership meeting will be held the week before on December 18, 2018. The elections for our club officer positions and four director positions will be held at the December 18, 2018 meeting, starting at 7pm. As our new member intake for this season winds down, the membership committee will be turning our attention to renewals. Please take this opportunity to ensure that your mailing address is current and that your NRA membership does not expire prior to the end of the coming membership year. The membership committee works with the NRA to verify our members NRA membership status. 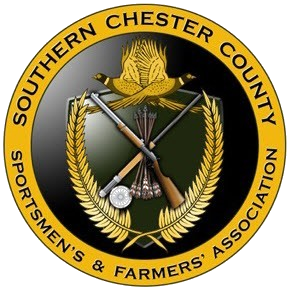 Any SCCS&FA member who does not have an NRA membership valid through 09/30/2019 will not be sent a renewal offer. We have observed significant delays within the NRA's process updating the membership expiration dates that they provide us, so act early to ensure a smooth and uneventful renewal process. If just 20% of our 1,500 members require special treatment that means we have 300 exceptions to handle in our process. We simply do not have the volunteer resources to handle that. Your cooperation helps us help you. SCCSFA recently rolled out its new customer service system called HappyFox to better assist requests from member and prospective members. All voicemails and emails are now routed to a central system where volunteers can easily respond to requests. A range red danger flag system has been implemented on all ranges utilize a large red NRA flag. The flag should be lowered when prior to going down range. When the flag is "lowered", no one is permitted to handle firearms. All firearms should have open action with chamber flag inserted. When the flag is "raised" the firing line is active. 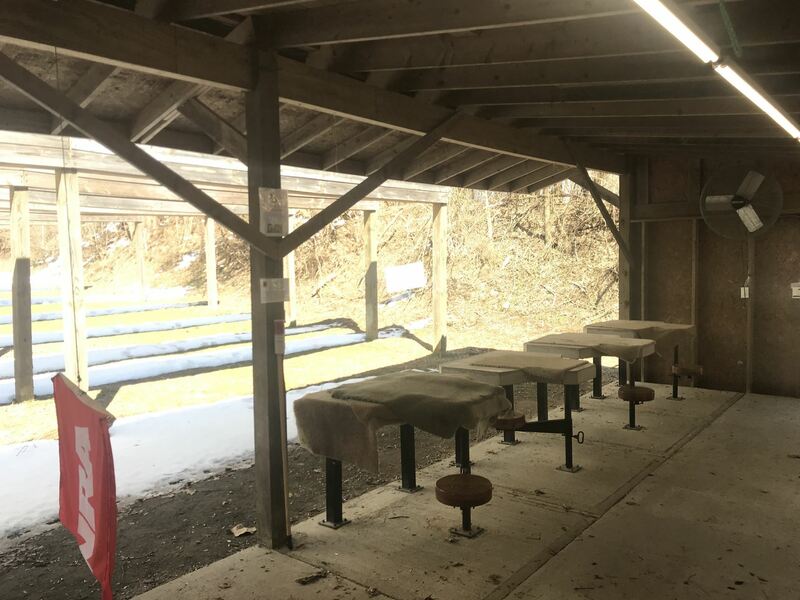 In October 2017 Concrete pads were poured in all the range sheds to extend cover the entire enclosed space. Overall this will help make it much easier for members to pick up their brass (as is required) and gives the sheds a tidy appearance. In Early 2018 lighting and electrical outlets were also installed adding much needed electrical service and lighting to all of our range sheds. The facilities committee hopes members enjoy this improvement. Feedback so far has been positive. All memberships expire on September 30 of each year. Members who do not pay their dues prior to September 30 of each calendar year will be dropped from the membership rolls and must reapply for membership to the association, attend the new member orientation and repay the initiation fee in full. To be Voted on at April General Meeting - April 25th, 2017 at 8pm. As of 4/15/2017 all new members or renewing members must have a valid NRA membership through Sept 30th of the following year. This means in some cases that a 2yr NRA renewal may be required. This change reduces the amount of volunteer effort to process renewals. If your NRA membership is not valid until Sept 30th, 2018 you will not be able to renew until you membership is extended with the NRA. Notification will be sent to those members who are impacted. 1. All new members must pay for renewals online with a credit card. All current members except those without email address already on file (41 Members) must pay for renewals online with a credit card beginning with the 2017 renewal cycle (8/2017). The 41 members who exist without email have been grandfathered and will continue to receive paper renewals. 2. All new and current members except those without email address already on file (41 Members) members must complete an electronic liability waiver by 9/30/2017 as a condition of membership. Membership committee will be sending out liability waivers using DocuSign. (Users with no email on file may complete the form online or via special paper form). 3. All new members and those with a current email address on file must keep an active email address on file as a condition of membership. 4. All members shall upload a passport grade photo of themselves into the WA portal prior to 9/30/2017. Those that lack the skills to do so will have an opportunity to do so at the club with the assistance of IT and Membership. Photos are required for the safety and security of the club members. Photo shall clearly show the members face. No sunglasses/hats/head coverings etc unless authorized by SCCSFA Board. Those who fail to meet this requirement shall be terminated on 12/31/2017. 5. New members coming to orientation must show photo ID to match against the photo uploaded during the application process. Changes for 2017 Renewal Cycle - Enable auto-pay where people who would like to can OPT-IN for automatic renewal where they are just charged each year automatically.